Businesses and individuals need a skilled lawyer when dealing with a patent, trademark, or other intellectual property issue. That is why they trust the Law Office of Craig A. Simmermon to protect their interests. Mr. Simmermon has spent decades in engineering and technical sales, dealing with a multitude of products and businesses. He uses this wide range of experience to determine and understand the client's true goals and how they relate to successful intellectual property protection strategies. Mr. Simmermon then uses expert knowledge of patent and trademark law to implement these successful strategies. Mr. Simmermon helps clients bridge the gap between the initial spark of invention and the realization of commercial value. Attorney Simmermon makes it his responsibility to know you and your business. He works closely with you to ensure that your legal solutions are tailored to meet your unique needs and challenges. Mr. Simmermon is a sole practitioner, so all interaction is with the attorney himself. LEGAL SERVICES PROVIDED: Litigation Patent and Trademark Applications License Agreements and Other Contracts General Counsel The First Step: The first step is to email Craig A. Simmermon to arrange a one-hour initial consultation in Sacramento or Roseville for a $200 fee. Sorry, no free consultations. At the initial consultation, you will discuss your issue and have your questions answered by Mr. Simmermon to receive his recommendations on how to proceed. There are flat fees to draft/file a patent application and to draft/file a trademark application. Litigation rates range from $200-300 per hour. Offices in Sacramento and Roseville There are two office locations to serve you. The Sacramento Office is located at: 980 9th St., 16th Fl., Sacramento, CA 95814, just two blocks away from the State Courthouse and the Federal Courthouse for the Eastern District of California in Sacramento. The Roseville Office is located at: 3017 Douglas Blvd., Ste. 300, Roseville, CA 95661. Mr. Simmermon meets with clients on an appointment-only basis. The law office of Craig A. Simmermon, Attorney at Law offers high-quality legal representation to companies and individuals in intellectual property matters. Cost-effective Legal Services The Law Office of Craig A. Simmermon offers high-quality legal representation to companies and individuals in intellectual property matters. 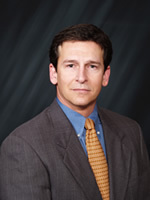 Craig Simmermon has a thorough understanding of U.S. Supreme Court, U.S. Court of Appeals for the Federal Circuit, and U.S. District Court patent law opinions and trends, and uses this knowledge to his clients' advantage when dealing with any patent, trademark, or intellectual property matter. Craig Simmermon's practice can be broken down into the following groups. Litigation Representation Patents, trademarks, and copyrights become embroiled in legal battles when parties violate agreements, infringe upon the intellectual property of others, or face accusations of infringement. When clients need to protect their intellectual property or defend against claims of infringement, Craig Simmermon is a strong advocate for their rights and a diligent representative in court. Mr. Simmermon stays with clients throughout the entirety of the dispute, seeing cases through trial and the appellate court process if necessary. He handles patent infringement, trademark infringement, and copyright infringement cases in Federal District Courts and at the U.S. Patent and Trademark Office, as well as commercial or contracts cases in California State court. Patent and Trademark Applications Mr. Simmermon has patented musical instruments, mechanical devices, software processes, computer-driven devices, medical devices, and consumer products. Mr. Simmermon's extensive business experience has given him a thorough understanding of how certain technical aspects of a product or patent translate into profitable commercial efforts. Mr. Simmermon drafts applications and responses to office actions in a succinct effective manner to protect his clients' interests and meet their needs. Mr. Simmermon also conducts prior art searches, drafts patent law and trademark law opinions, and helps secure international or foreign protection of intellectual property. License Agreements and Other Contracts Mr. Simmermon provides legal assistance to clients who wish to enter into license agreements for patents, trademarks, and copyrights. Mr. Simmermon also handles general contracts matters and contracts enforcement. He works with clients to tailor the particular agreement that is best for the situation, taking the time to first determine the true goals of the agreement. Mr. Simmermon diligently reviews paperwork to make sure terms and conditions are legally accurate and cover all necessary topics, and works efficiently and strategically with the other party to amend and execute the agreement. He also carefully reviews documents with clients and answers any questions in layman's terms to make sure they understand their rights under any circumstance. General Counsel Mr. Simmermon provides a range of other legal services to existing clients as arranged on an individual basis. As time moves forward, intellectually property will come to be known as the most valuable type of property for a business. I wish to help prepare and better position my clients for this fast approaching inevitability. I have more college degrees than most if not all lawyers on this website. In addition to my law degree, I also hold degrees in physics, mechanical engineering, aerospace sciences, management information systems (computer systems), as well as an M.B.A. (business administration). An in depth knowledge and understanding of the complex areas of patent law and trademark law, as well as, an in depth knowledge and understanding of science, engineering, technology, manufacturing, sales, and marketing. Craig A. Simmermon's legal practice is the culmination of extensive engineering experience combined with a legal education. He provides legal representation to businesses and individuals seeking: to level charges or defend against charges of intellectual property infringement in federal or state court; to prosecute applications for patents and trademarks before the U.S. Patent and Trademark Office; to maintain and enforce issued patents, registered trademarks and registered copyrights in various fora; and to prosecute or defend against various other legal processes before the U.S. Patent and Trademark Office. While he handles a wide range of intellectual property matters, much of his work focuses on trademark and patent-related issues. He is admitted to practice in California, before the U.S. District Court for the Eastern District of California, and before the U.S. Patent and Trademark Office. Mr. Simmermon is exceptionally well educated. In addition to his legal degree, he has degrees in physics, mechanical engineering, aerospace sciences, information systems, and a master of business administration. He worked as a sales engineer and a project engineer for 15 years, garnering extensive experience in the plastics industry and other industries. His understanding of the technical nature of many products is an invaluable asset to clients as they turn innovative ideas into commercial value.